Property 6: Gite any comfort, swimming pool 8x4m, wifi, trampoline 4m, lake, superb view. Property 20: The PETIT Nest, lodging for two !!! Wonderful, cosy holiday home with private swimming pool in a quiet area. Property 31: Wonderful, cosy holiday home with private swimming pool in a quiet area. Paradise in "the Tuscany" of SW France! 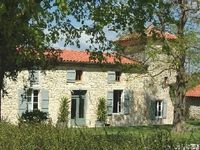 Property 33: Paradise in "the Tuscany" of SW France! Property 46: Residence and anexe included for pesonnes 12 in the country.